Pansukian Resort Photos, photos of the inside of the villas. The following Pansukian Resort Photos were kindly supplied by the Pansukian Resort itself. They are quite something. This page of photos will show you the inside of the villas and what the acommodation looks like. 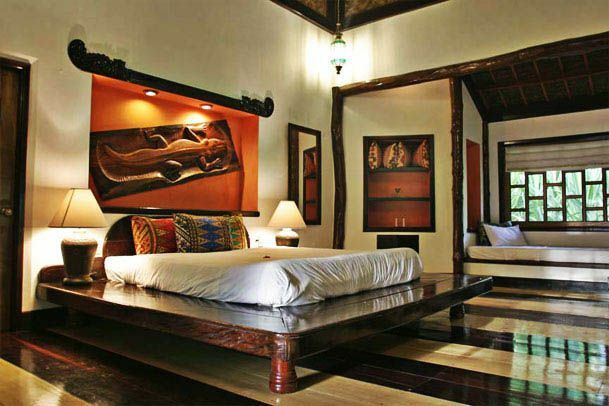 I would not mind a rest in one of the bedrooms, the furnishings look quite inviting. In fact it looks as though the owners have spent a lot of time and effort in getting the details right. I for one am looking forward to visiting and doing a first hand review of this beautifully presented resort. This is a photo of the outside of the Villa at Pansukian Resort. You can see how they blend in with the surrounding gardens and do not look out of place or too comercial. I'm not sure about you, but when I look at this photo of the lady sitting on the veranda, I can almost imagine leaving all my stress behind and unwinding, just like the photo. It is a very relaxing photo, the photo has captured the mood perfectly. A lot of attention has gone into making the gardens and the buildings fit well together. the paths meander through them and neither building nor garden looks out of place with each other. As you would expect, very tropical. Now the bedroom looks inviting! It is a simple in design, which is probably what appeals to me the most, they have not tried to distract the natural beauty of the outside with clogging up the inside of the villa and the bedroom. You cannot get a real good look at the bathroom here, you can see the shower in the reflection of the mirror and it looks like there is a his and her's hand basin. 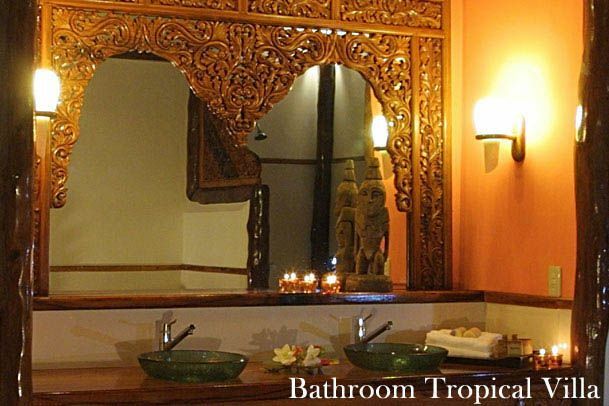 I do like the look of and use of timber, it continues with the theme throughout the Pansukian Tropical Resort. 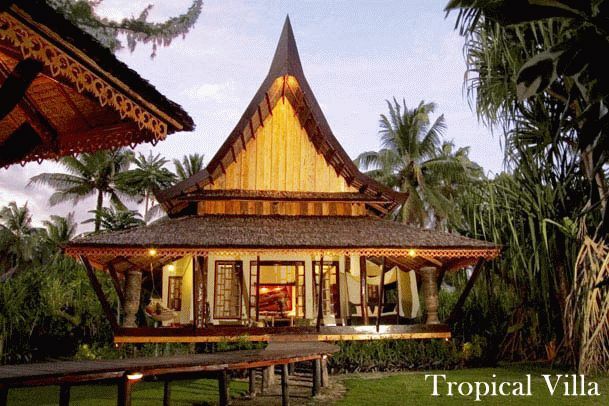 This is a photo of the outside view of the Tropical Villa. It does look very tasteful and simple in design and the raised walkway is a nice touch. For photos of the outside of Pansukian Resort have a look here. To read a review of the Pansukian Resort have a look here. 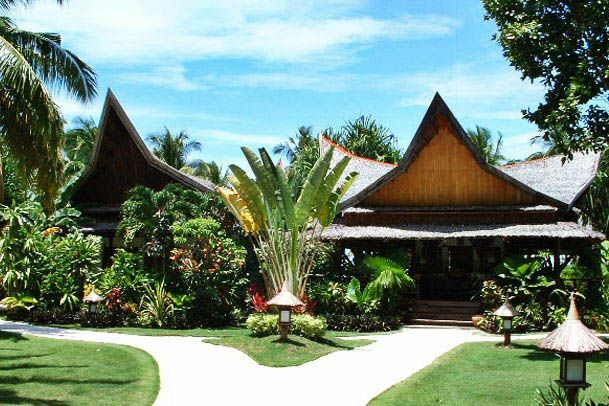 If you would like to know how to get to Siargao Island and the Pansukian resort, have a look here. Now if the surfing at Siargao captures your imagination, have a look here, this will tell you about Siargao Surfing or have a look here for information on surfing in the Philippines.